"Where a Great Beginning Lasts a Lifetime"
Happy Friday and Happy Easter! We have some awesome weather ahead and soon we will be hearing lawnmowers! We have had a great week around school. I have observed many hard working folks in classrooms, at K Round up and in general shuffling around the halls. I continue to refer to this time of year as the bell lap when we all start sprinting! A big round of applause to office staff and K teachers for gathering our families for next year's crop of K students!!! Dan and I are working on taking the staff surveys and looking at our build for 2014-2015. You will have a continual flow of information out over from us over the month of May. Please know your input is highly regarded and very helpful in moving us down the road in an efficient manner. When I tie this to our morning coffee talks that we had through late winter (dream school discussions), we have a robust offering of vision for the future. Now we will see what we can truly implement or what may need to be researched further. Next week my schedule will be rather challenging. I will be out of the building on Tuesday and Wednesday for the Advanced State Safety Specialist training. Thursday (half day) and Friday (possibly out) are sketchy for me as I take personal time to attend a conference on child development. Thank you in advance to our office team for support, help and putting out fires. I am a very lucky principal. I have attached several resources at the bottom of this page. 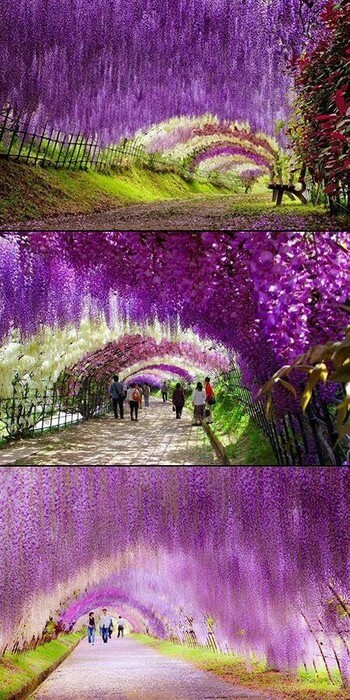 I believe some (still pictures) offer inspiration for a writer. The video is a great piece that offers up a quick peek that will be review for most. I included... ..just because it is quick and always refreshing to watch others work. The article from The Atlantic gives insight on their research and some interesting findings on teaching grammar. Again, it demonstrates the incredible value of simply getting our students to write. Please keep May 1st carved out on your schedule as we will start with our May staff meeting in the PD Room promptly at 8. We have many things to cover on that day. May 7th is National Bike to School Day. PVE will be participating this year. You will see a flyer come in your mailbox next week. It will have a permission slip that needs to be returned to school. Dan will give you an additional heads up on the morning memo this week when they are dispersed by PTO. In conclusion, we have received great input on the nominees for PVE Teacher of the Year. Please look for this announcement at a 2 minute stand up meeting after school on Monday. My best for this upcoming weekend for you and your family. 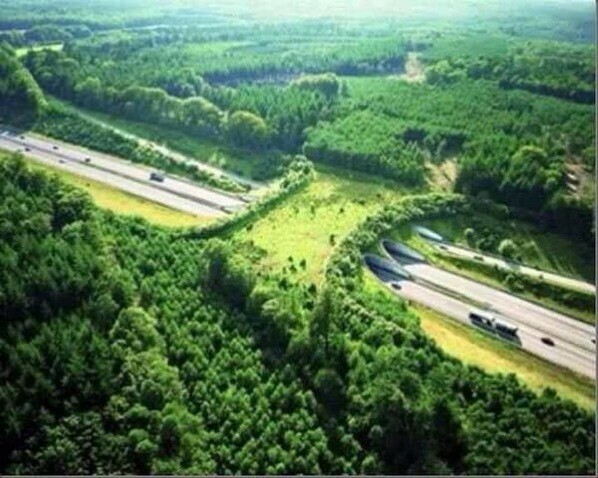 Check out this "animal bridge"
In the Netherlands, they build natural bridges for animals to cross the highway without risking their lives. 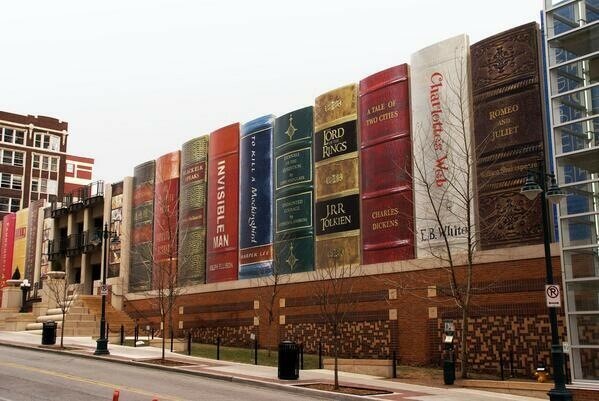 What looks like big books is actually a very cool mid western city library. This is not a drawing! 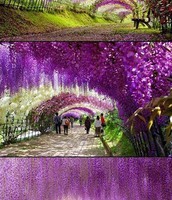 This is an actual Wisteria Flower garden tunnel in Japan. It feels calming by just studying the picture!